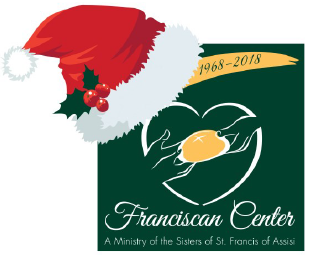 Be a ray of hope for our neighbors in need this summer and help us celebrate the holidays a little early — by collecting food, clothing, toiletries and school supplies for the Franciscan Center. These programs are made possible though the support of our friends in the community – but as the weather grows warmer, we recieve fewer donations. Please consider taking up a collection for the Franciscan Center during June and July at your church, office or civic group, and help us to help our neighbors in need!